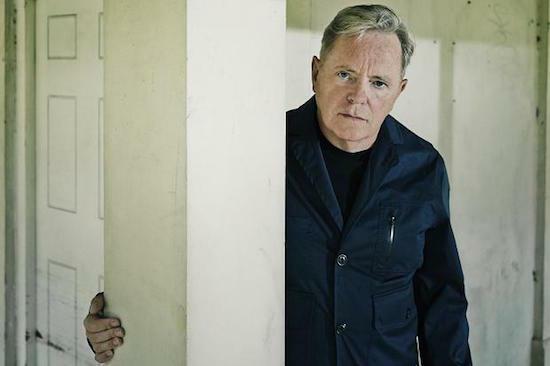 New Order’s Bernard Sumner has penned a piece for the New European about the aftershock that the EU referendum had on the band, shortly before they were set to play Glastonbury Festival this year. During their set at the festival, New Order chose to “[display a] EU flag on the big screen and played over the PA a ludicrous ‘little England’ speech made in the seventies by Hughie Green” as a reaction against the referendum result that meant that the UK would be set to leave the EU. Although Sumner does acknowledge that people “had specific concerns when casting their votes" saying that "the EU undoubtedly has some stupid rule and regulations”, he goes on to argue that “surely the way forward is to deal with these problems as part of a single entity”. Sumner considers himself to be European and is afraid that the UK will return to the shortsightedness and conservative attitudes held in the 1950s. Sumner also thinks that the UK can learn a lot from the attitudes of Berliners, and “[believes] the secret behind that lies in its people. Berliners have shown a willingness to confront their past and emerge from it as a confident, inclusive city determined that their place in Europe shouldn’t be defined and hindered by negativity.” For him, politicians have dealt with the exit from the EU with shortsightedness and that the future economic consequences are filled with “daunting uncertainty”. You can read the full piece in the current issue of the New European which is available to buy now.